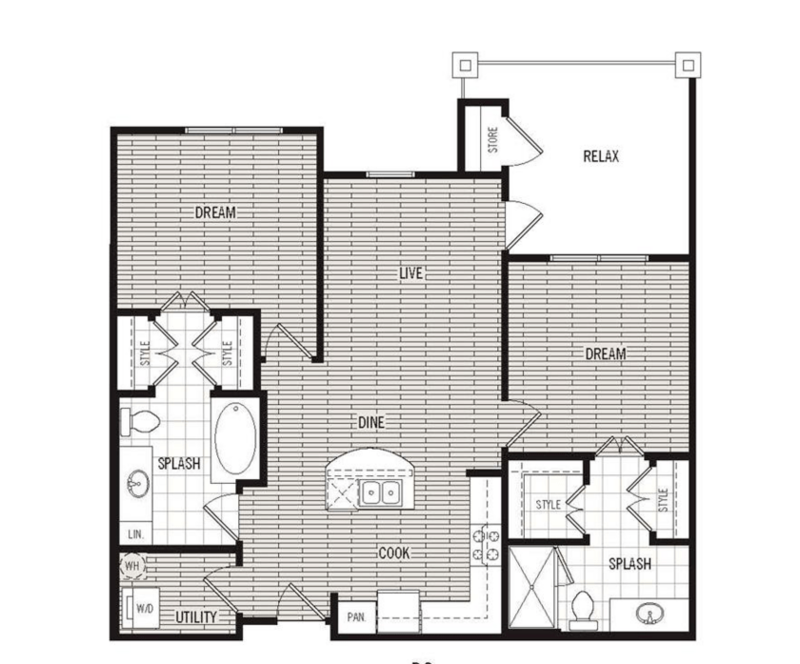 This one bedroom one bathroom home includes a washer and dryer in the home. The bathroom features a soaking tub. 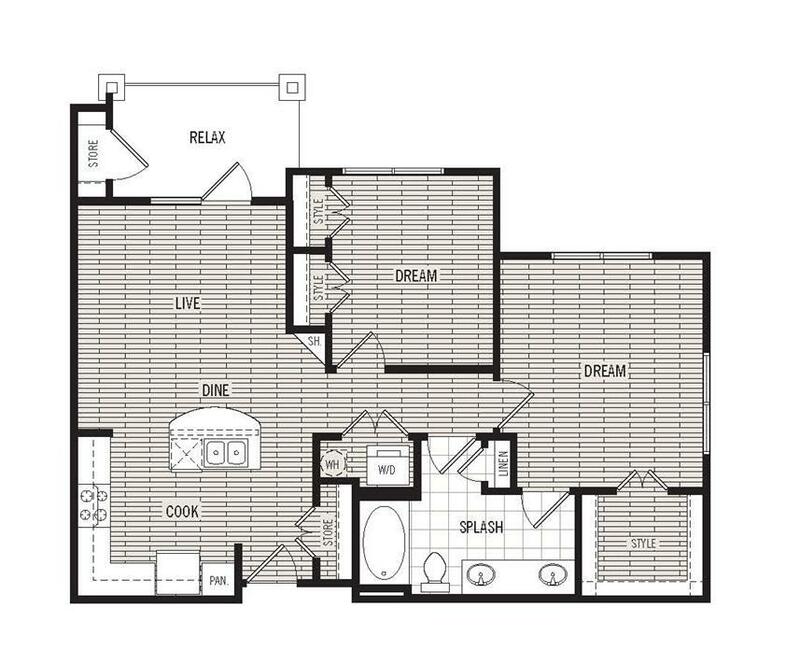 This one bedroom one bathroom home includes a washer and dryer in the home. 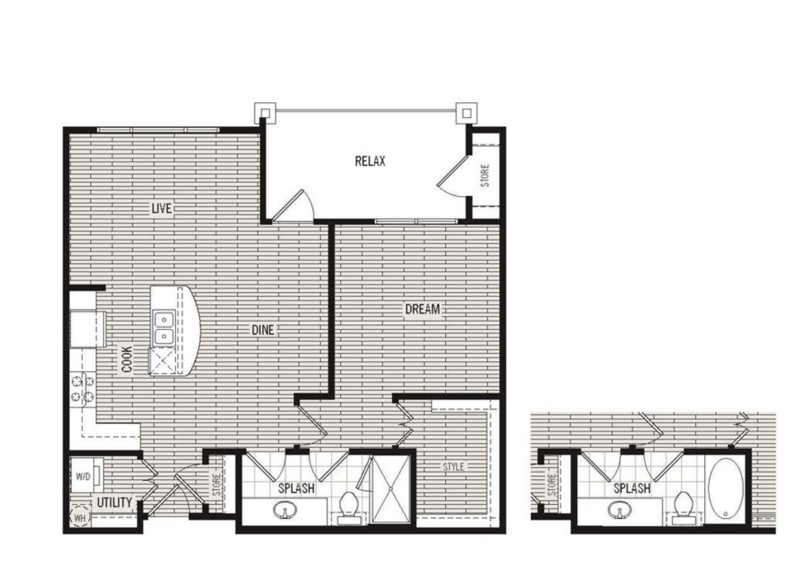 The bathroom features a walk in shower as well as an oversized walk in closet. The island kitchen counter creates a very open concept for the home. This home includes a washer and dryer in the home. The bathroom features a soaking tub along with an oversized walk-in closet. The island kitchen counter creates a very open concept for the home. This home includes a washer and dryer in the home. The bathroom features a soaking tub. The island kitchen counter creates a very open concept for the home. This home includes a washer and dryer in the home. One of the two bathrooms features a walk in shower and the other a soaking tub. The island kitchen counter creates an open concept in the home. 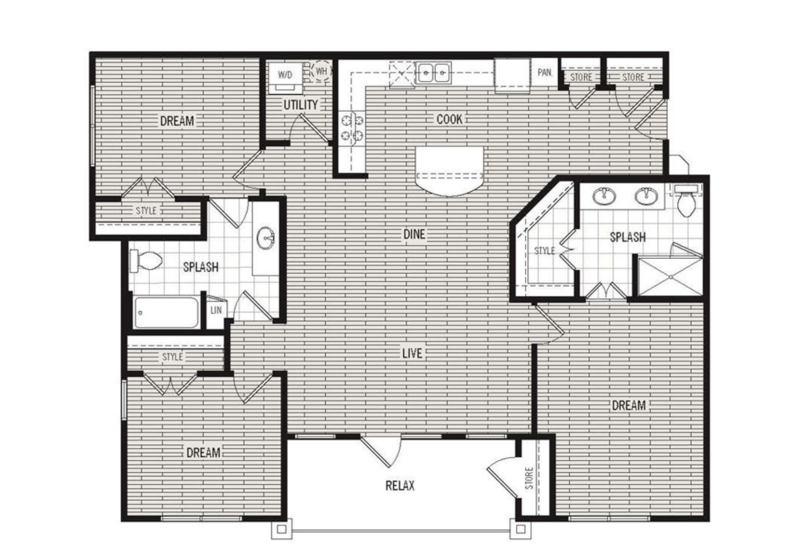 The layout is a roommate styled floor plan. This home includes a washer and dryer in the home. One of the two bathrooms feature as walk in shower and the other a soaking tub. The island kitchen counter creates an open concept in the home. This three bedroom 2 bathroom home includes a washer and dryer in the home. One of the two bathrooms features a walk in shower. The island kitchen counter creates an open concept in the home. Revel in the magic of San Antonio’s vibrant culture, then retreat to the pristine luxury homes at Dalian Monterrey Village. This community of one, two and three bedroom apartments offers first-class home features and contemporary urban designs. 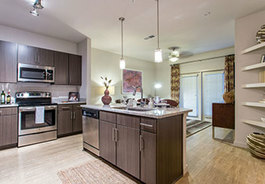 Look inside and experience these beautiful apartments in San Antonio, Texas. 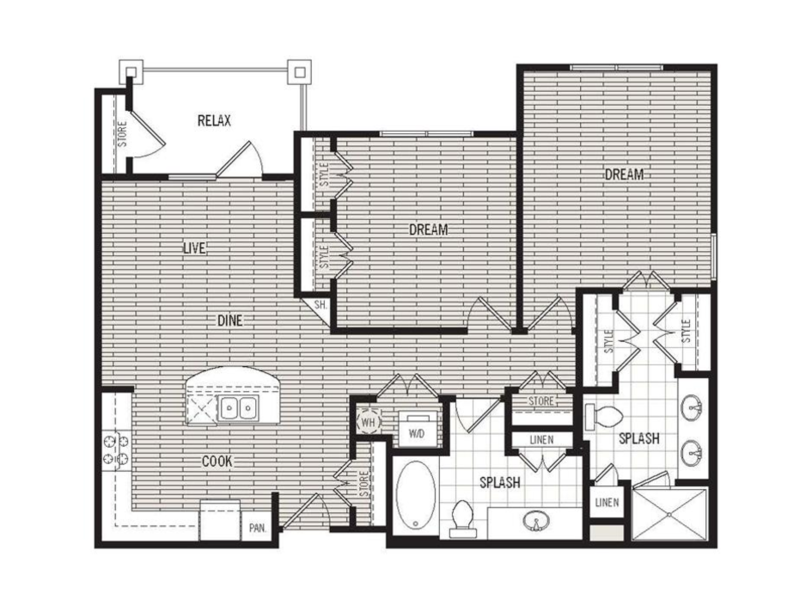 Whichever floor plan you choose, the lavish and modern details found in every room are sure to delight you. Enter your next home and admire the abundance of natural sunlight shining through the soaring six-foot windows. Throughout the home, wall-to-wall plank flooring adds a distinct touch of sleek sophistication. The kitchens come equipped with stainless steel appliances, under mount single basin sink, designer lighting package and granite countertops making food preparation and after-meal cleanup easier than ever. Even laundry is simpler with washers and dryers included in every home and oversized closets included in most floor plans. Select homes have large walk-in showers or garden-style tubs in the bathrooms as well. The only thing missing at Dalian Monterrey Village is you. 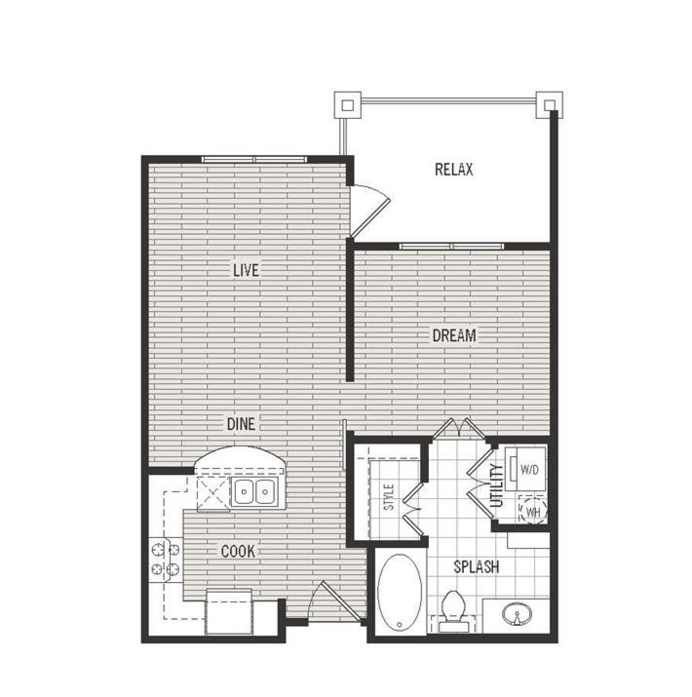 Schedule your tour today and experience a new level of luxury living.